You never know what winter will bring in New England, a little snow or lots depending on the year and where you are. Sometimes a pilot plow wont hack it and you need something more. 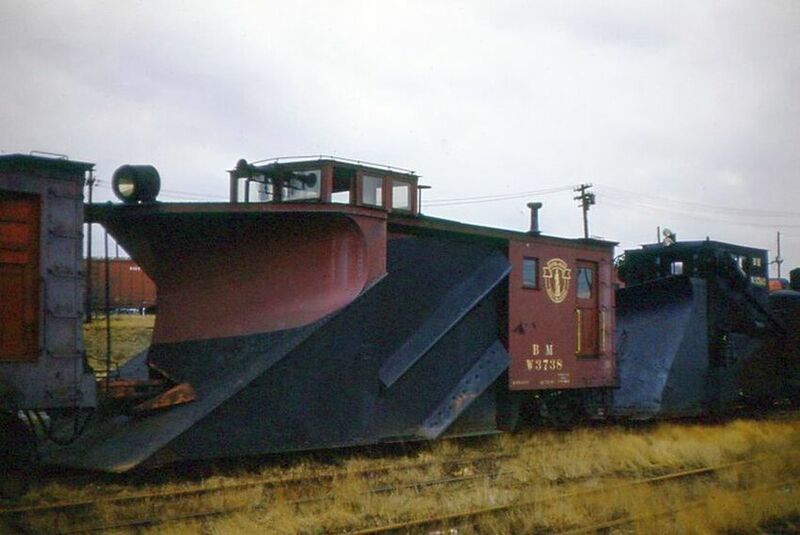 B&M wing plow W3738, complete with Minuteman herald, is there to cover the possibilities along with what looks like a Jordan Spreader, a lttle ugly, but another great snowfighting asset. Seen at East Somerville. Added to the photo archive by Ron DeFilippo, April 9, 2019.